You can say hello to a revamped YouTube website today to celebrate the 12th birth anniversary of the platform on May 1. An organized and neat design, and an all new YouTube Dark Mode is what the platform wishes to deliver. The company is also throwing in a handful of other bonuses to sweeten the deal by adding an all new dark mode, theater mode upgrades and some fine tuning for search. Since YouTube is approaching the teen phase, the YouTube dark mode will turn your favourite video portal to goth, although nothing apart from the background color is changing, so don’t freak out. 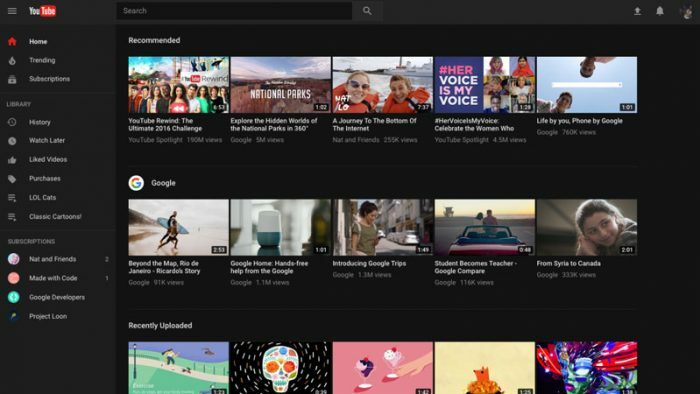 The YouTube dark mode is supposed to help reduce glare when you are wasting your time watching YouTube videos in the night and make up for a better viewing experience. Hey that’s all right, we all do it. It can be toggled on and off rather easily. Mobile users will have to wait a while, and hope that Dark Mode witnesses adoption rates that are satisfactory for YouTube. 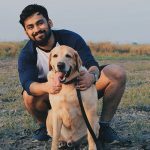 Following which the company would consider making dark mode available to other devices too. Now about the ‘neat’ redesign for the website. 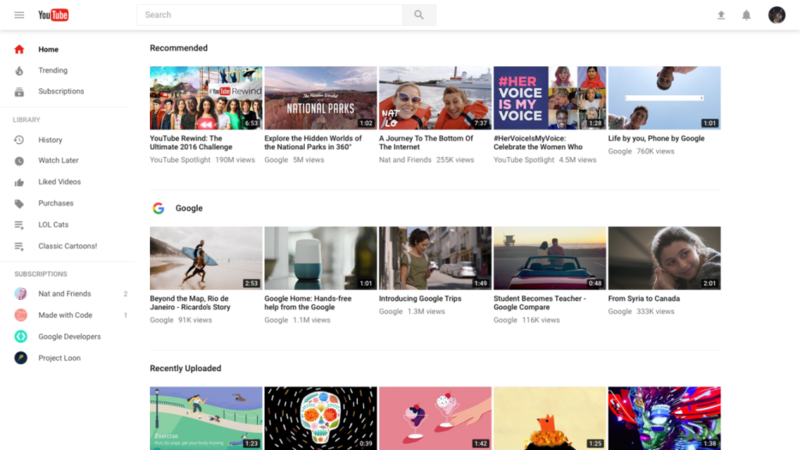 First, there shan’t be an end to the YouTube Home Page and you will now see recommendation after recommendation no matter how much you scroll down. Also, the navigation buttons on the left hand side “can now be tucked away out of view with a click on the hamburger menu at the top left of the screen and now align with what you would see on mobile.” as reported by Sarah Perez on TechCrunch. There are more changes that you will notice when you land on a channel, which overall shows YouTube’s aim of going for something less tacky. 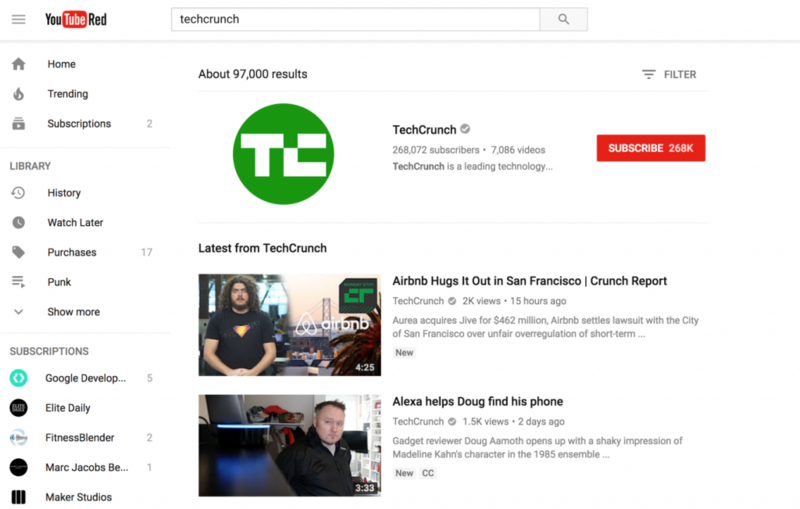 “Things that get built once can then be reapplied more quickly,” Manuel Bronstein, VP of Product Management at YouTube, of Polymer told TechCrunch. “It’s less about a particular feature, and it’s more about the velocity of which things can be brought to market. This then enables us to explore and then do more things,” he added. You can visit the fresh YouTube website at youtube.com/new and if you are not a fan of change, you can have your ‘same ol’ YouTube back by selecting ‘Restore classic YouTube’ from the Account Menu. Go on give it a shot. 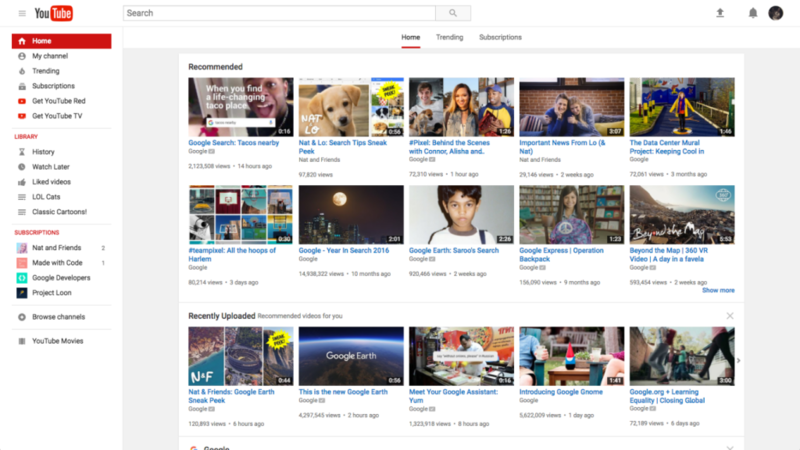 Tell us how you feel about the new YouTube upgrades at team@socialsamosa.com.